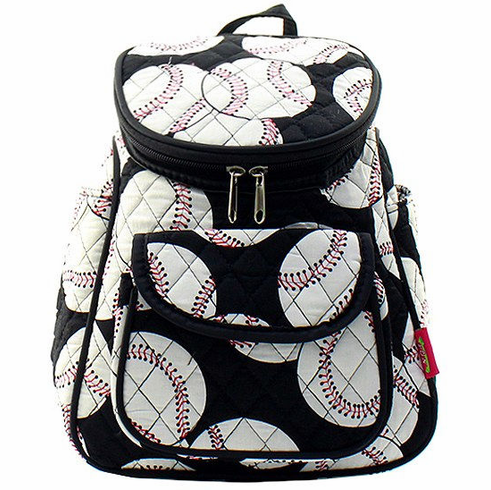 Baseballs on Black Quilted Mini Backpack. Measures appx. 9"(L) x 4"(W) x 11"(H). Quilted zip top small backpack. Open pockets on both sides.